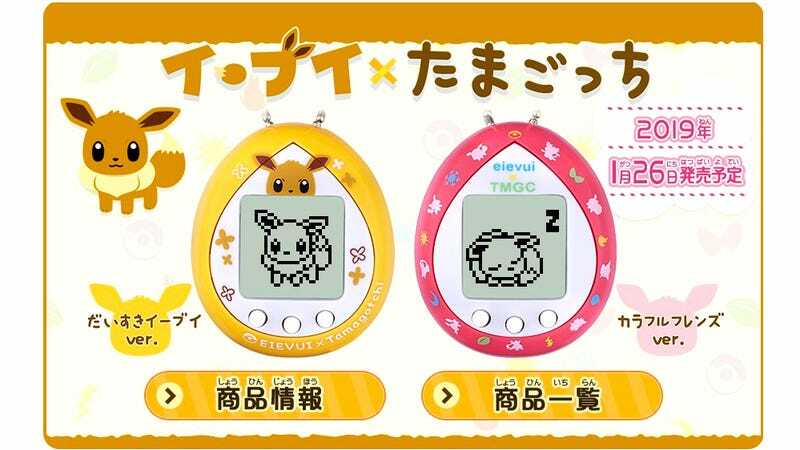 Details about a Tamagotchi and Pokémon partnership were first leaked earlier this month, but we finally have confirmation that you’ll soon be able to raise and keep an Eevee as the latest iteration of this virtual pet, without the stresses of gym battles or the responsibilities of a Pokémon trainer. 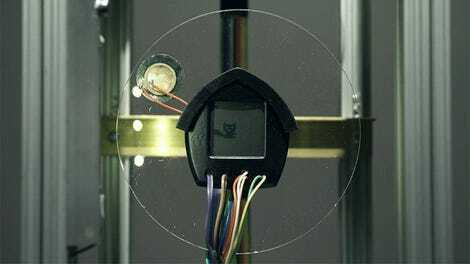 Instead of growing from a random blob into a larger random blob with more features, this version of the Tamagotchi Nano has you working to evolve your Eevee into one of its eight possible advanced forms by feeding it, playing with it, and trying not to forget it’s at the bottom of your backpack. Two options with different shell colors will be available starting in Japan on January 26, and while the locals there can pick one up for about $20. 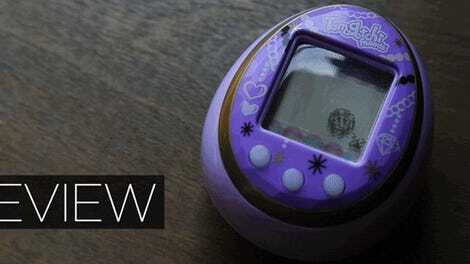 Expect to pay a lot more when importing these to the U.S.
How many Tamagotchis have you sent to an early grave?